We love the spinning motion of the pinwheel block. 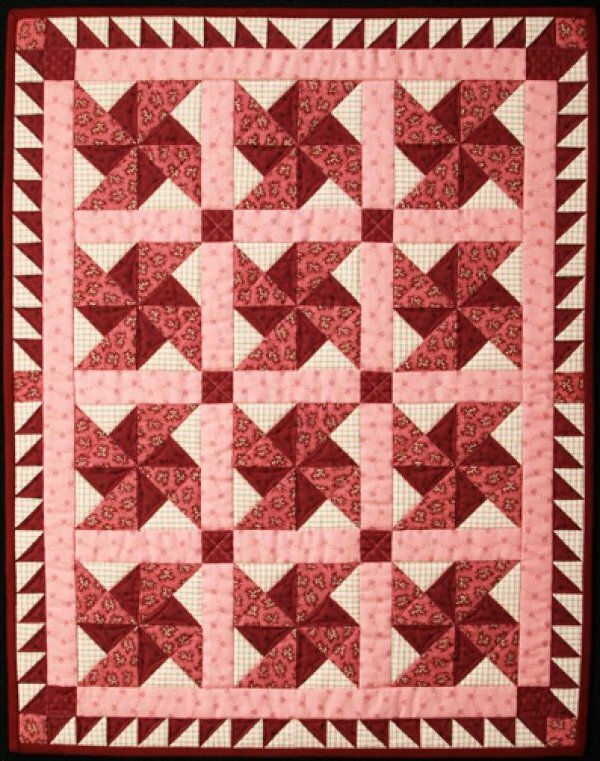 Use this quilt as a wall hanging, give as a gift or make both! You will have fun cutting, sewing and quilting this ‘old’ fashioned design. It's wonderful in scraps too!